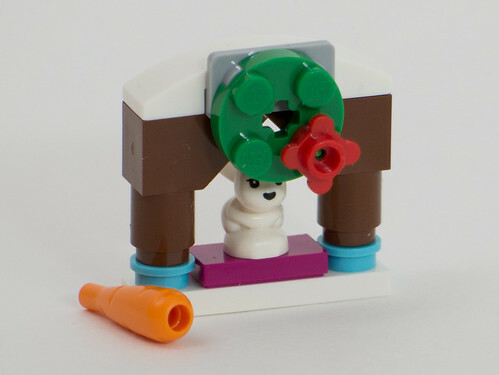 Today’s advent entries are a easy chair with a little table with lamp and a small plant (City), a carrot and pergola for yesterday’s bunny (Friends), and a gun emplacement (Star Wars). 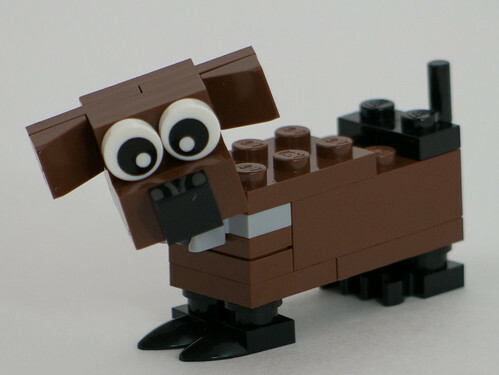 For Christmas Build-Up we build a little sled, and I built a wiener dog with the leftovers. 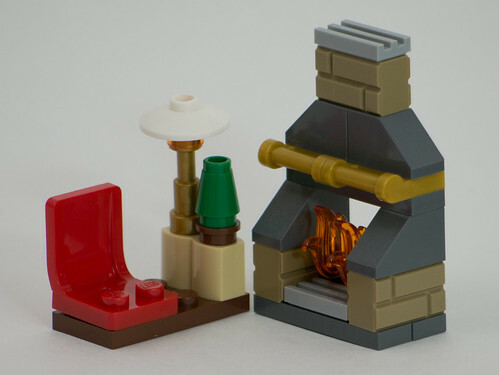 In City, we add to the living room scene started with yesterday’s fireplace. 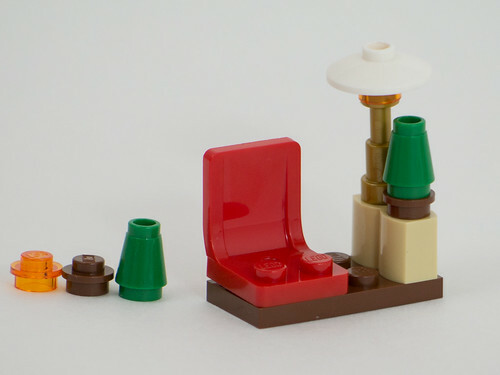 Now we have a chair with a little table, with a lamp and a plant. Here we see both entries together. Friends gives our poor bunny a place to recover from bonking its head, and a carrot. Here you see the bunny enjoying the new digs. Today’s Star Wars model is a gun. 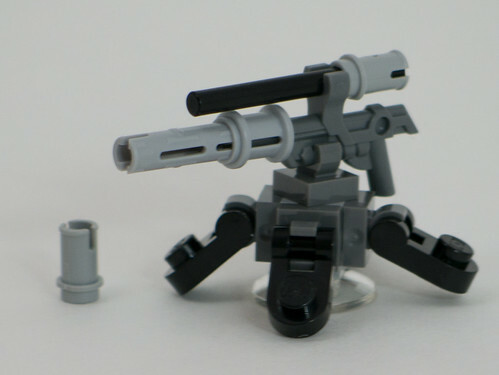 Jay’s entry says it’s a generic blaster cannon, and he’s not a big fan of it, but I have to say I’m happy to get the new parts used as the legs. 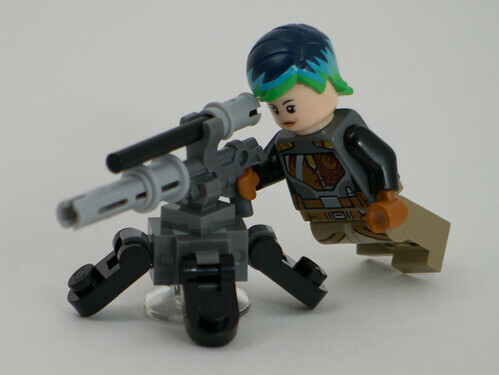 Sabine is having a hard time getting comfortable using the sight on the new gun. 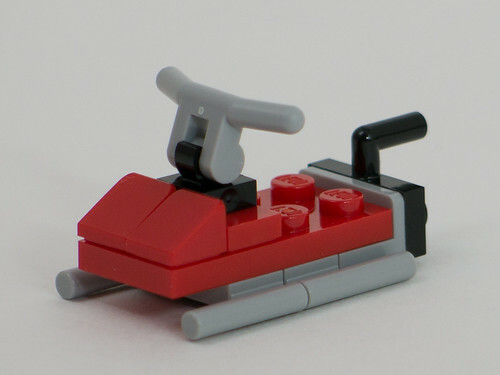 The Build Up model is a sled. It’s a nice design, but given the 254 pieces in the set you’d think they could come up with something a little bit fancier? 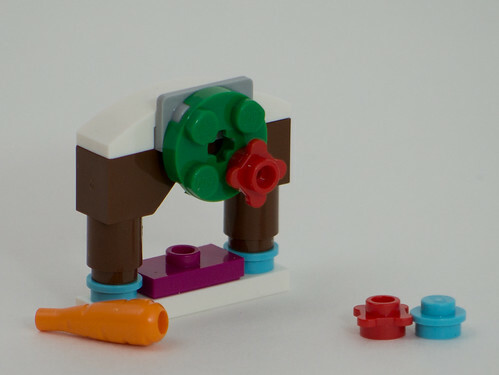 This thing only uses 10 of the parts! 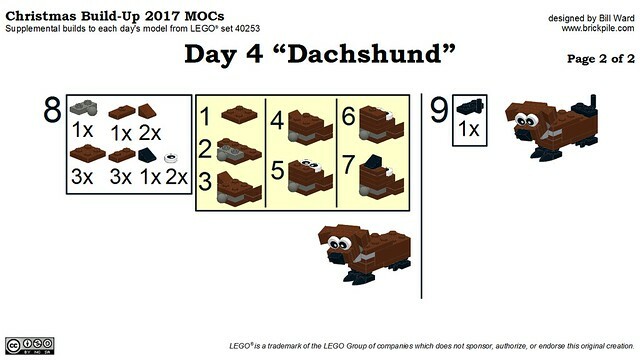 For today’s MOC I had a ton of parts to work with, and I came up with a dachshund (weiner dog). I don’t like dogs much, but I think he’s pretty cute. 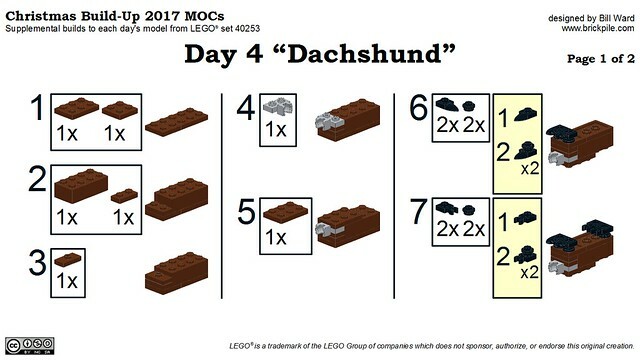 Also, if you were interested in instructions for yesterday’s airplane MOC, the instructions have been added to yesterday’s entry.